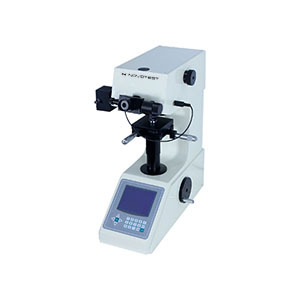 Dynamic (Leeb) probe is used for measuring the hardness of non-ferrous metals, cast iron, coarse-grained materials, massive products etc. 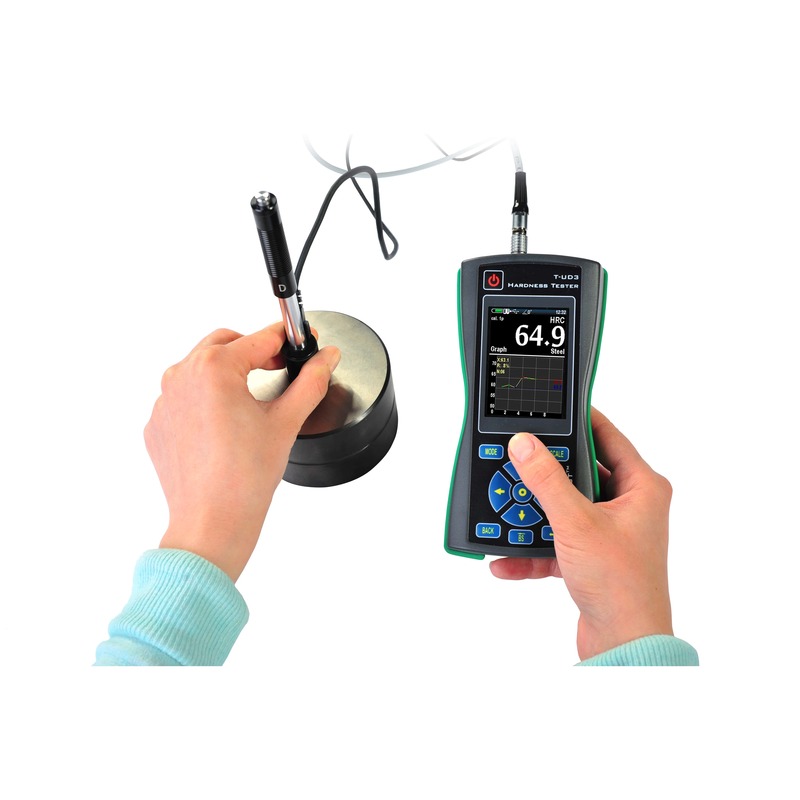 Built-in camera allows user to take a picture of tested object and mark tested area with corresponding hardness value. 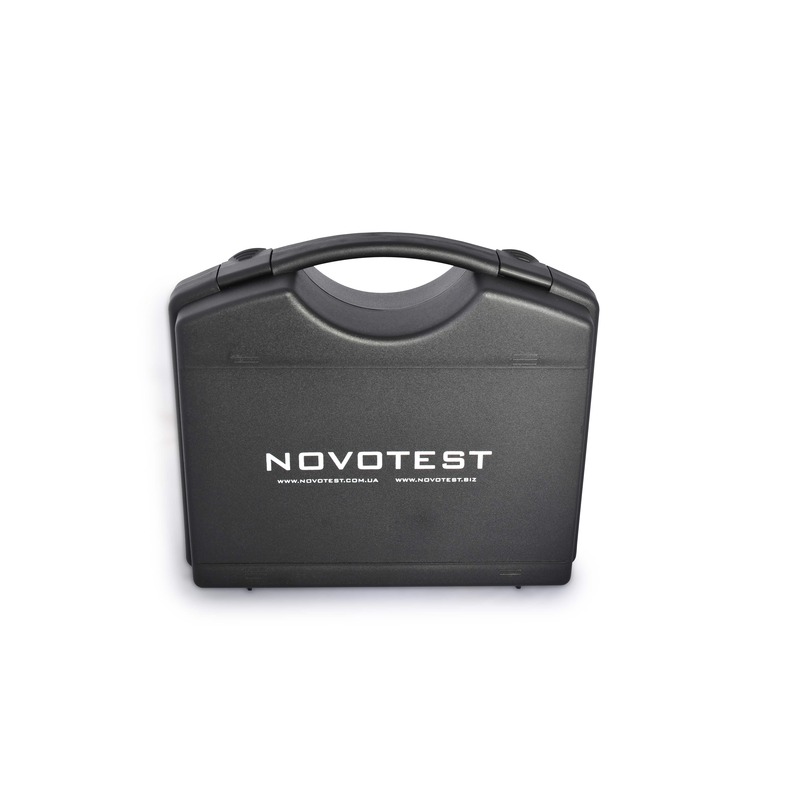 Hardness Testers NOVOTEST T-D3 has sealed housing with rubber protective bumper, it is ideal for use in workshop and field conditions with high humidity, dust, etc. 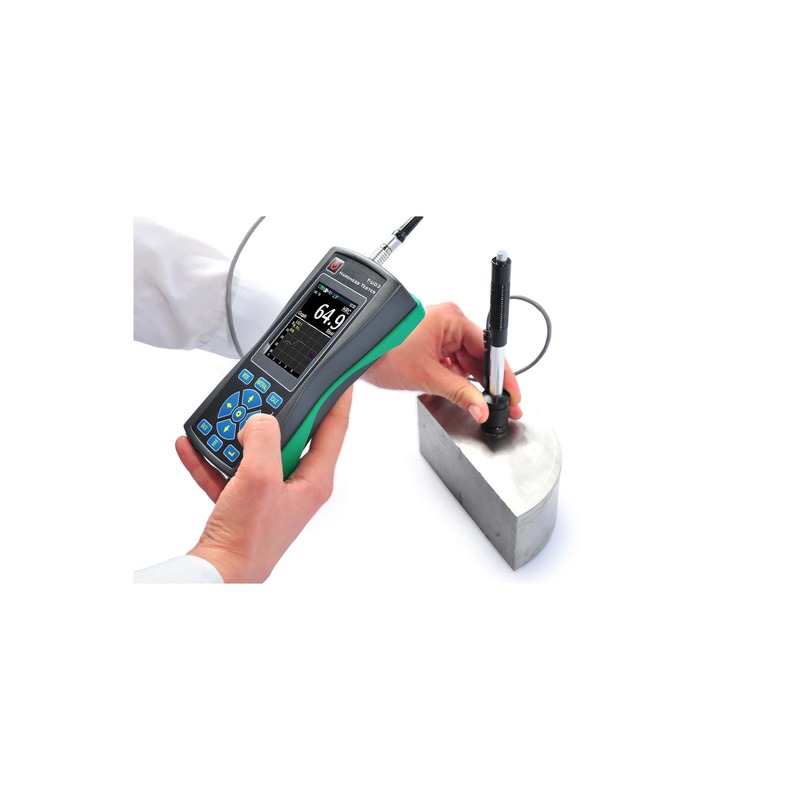 Hardness tester has frost-resistant display that allows user to use the device at any seasons and in any climatic zones of the Earth. 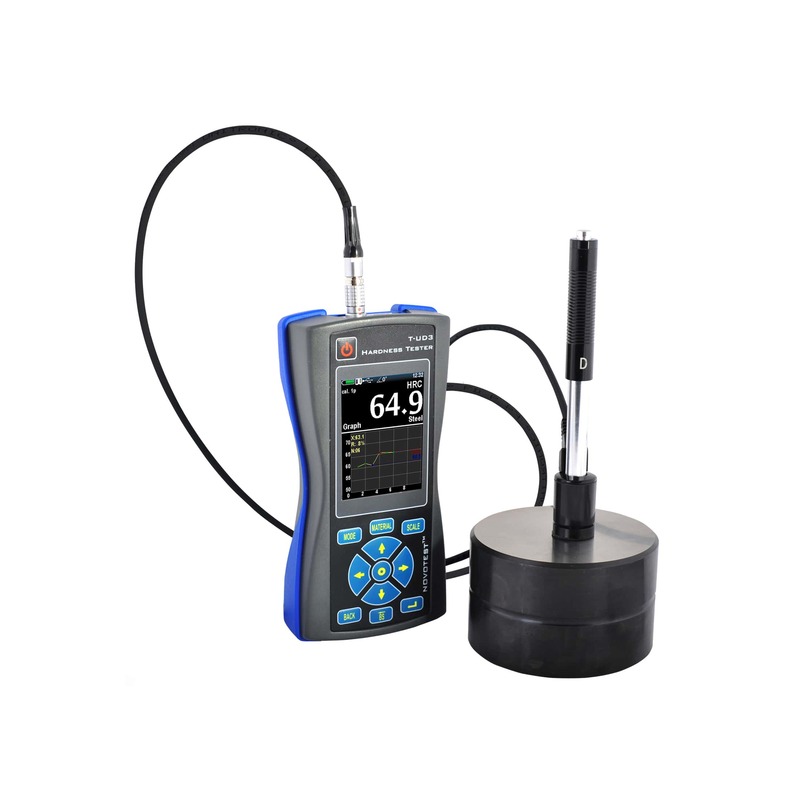 Leeb probe is used for measuring the hardness of non-ferrous metals, cast iron, coarse-grained materials, massive products etc. 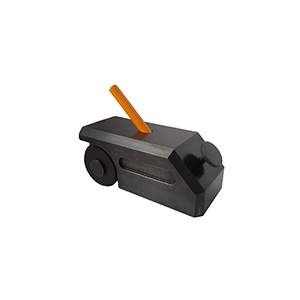 Hardness tester T-D3 also use a dynamic method of the hardness measuring – Leeb method, which is standardized according to ASTM A956. 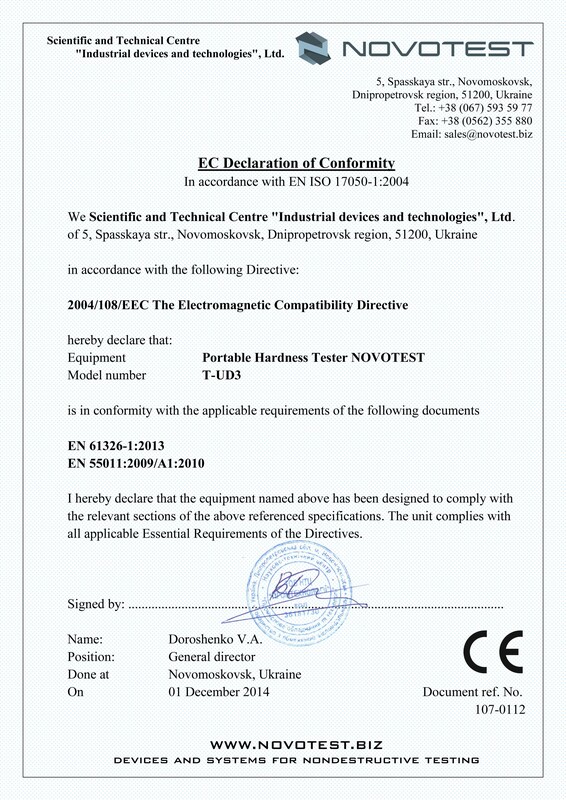 This method allows user to measure very fast and easy: install the probe, press on the probe to recharge spring, press the button on the top of the probe to make test and after that save the results of the hardness value, which are showed on the display of the device. 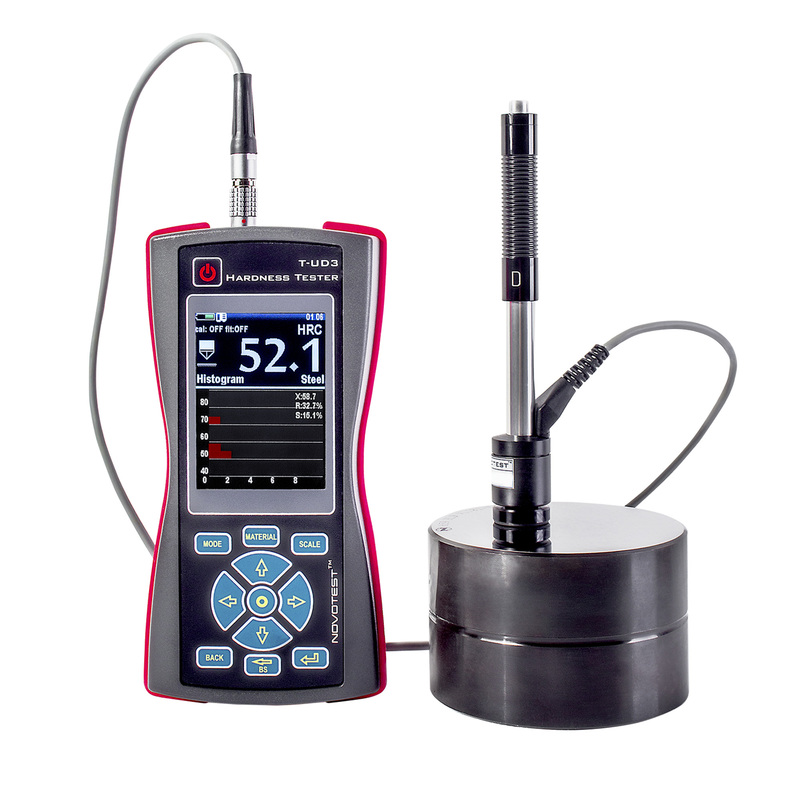 This method is used for measuring the hardness value of non-ferrous metals, cast iron, coarse-grained materials, massive products etc. (with weigh more than 5 kg or thicker than 10 mm) also this method perfectly complements the UCI method of hardness measuring. 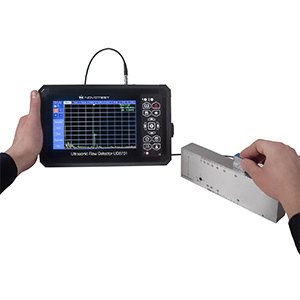 Hardness tester T-UD3 makes automatic calculation of the hardness of a wide range of materials – steel, stainless steel, cast iron, bronze, aluminum, so that we can say that combined hardness testers is the most universal, which is needn’t in recalibration, and fully ready for operation after “getting out of the box”. Signal – the mode of displaying of signal. 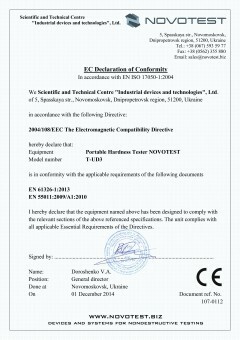 We have the CE certificate of conformity for Portable Leeb Hardness Tester NOVOTEST T-D3.